We asked Founding Principal Jim Coughlin to share how he and the Coughlin Porter Lundeen leadership team strive to create a positive company culture and environment for employees to thrive. He shares not only his entrepreneurial story (and how it informs company culture), but insights into Coughlin Porter Lundeen’s purposeful ownership transition and latest cultural enhancements. DESC’s Estelle Apartments reflect the organization’s mission to end the homelessness of vulnerable people. This standout supportive housing project features a first-of-its-kind partnership with Harborview Medical Center. Supported by Coughlin Porter Lundeen engineers Rachel Vranizan and Cory Hitzemann, Seattle University students created an award-winning senior project: a Ugandan Development Center for Early Mothers. Graduation season has inspired us to share our top pieces of advice for new employees, helping them to settle in and find success in their new roles (in engineering and beyond)! 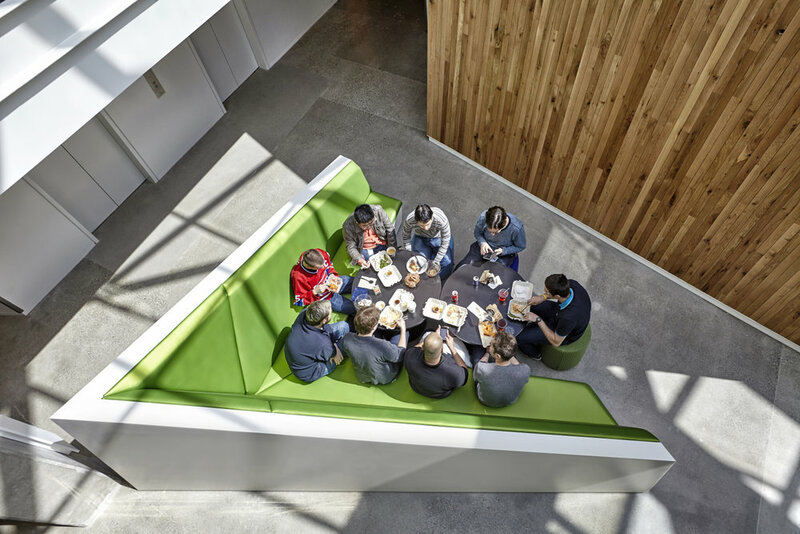 Highlights from projects that are reimagining the spaces where kids learn. Back by popular demand, we’ve assembled our team’s “Get Outside” recommendations. This edition, we’re rounding up our favorite summertime getaways easily accessed from sweet home Seattle. We asked Founding Principal Jim Coughlin to share how he and the Coughlin Porter Lundeen leadership team strive to create a positive culture and environment for employees to thrive. 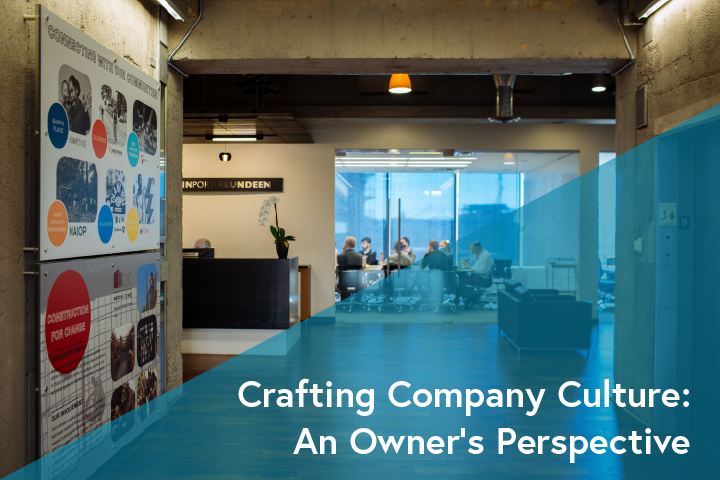 He shares not only his entrepreneurial story (and how it informs company culture), but insights into Coughlin Porter Lundeen’s purposeful ownership transition and latest cultural enhancements. Whether you’re a company of ten or ten hundred, you’re sure to face questions of culture. How do we establish a culture that employees value? How do we make our organization a great place to work? Why does establishing a strong company culture matter? There’s lots of publicity around cool new office spaces and “Best Places to Work,” and flashy spaces can fool companies into thinking it’s enough to throw up a ping-pong table, stock the fridge with craft beers and call it culture. Instead, an organization’s roots, its initial vision and “where we came from,” are essential parts of the story and should directly inform cultural efforts. More than twenty years ago, Terry, Steve and I set out to establish a firm where we could create exceptional designs and enjoy coming to work every day. In those early days, we were driven by this vision (and if I’m being honest, the fear of failure), and didn’t realize we were setting the foundation for a company culture. Today, we’re approaching culture with intentionality, leaning on a new generation of leadership and letting employee feedback drive its evolution. So, while we may not have been calling it culture then, we certainly recognize and value culture today. Terry, Steve, and I started Coughlin Porter Lundeen in August of 1994 with three employees. Terry and I had just left a mid-sized Seattle structural engineering firm upon its sale to a California company with dreams of becoming publicly traded. Within three years, what was left of our former firm had disappeared entirely. In that same three-year period, we grew into a firm of 20. Those first months were a blur, but from our modest Third and Pine headquarters we determined where we wanted to take the firm and how we wanted to differentiate ourselves from our far-too-numerous competitors. Our first marketing consultant forced us to sit down and formalize our ideas, strategies, and goals for the firm. I’m not sure any of us realized how remarkably consistent these items would remain. They’ve not only guided us for the past 24 years as the foundation of our work and approach, but they’re the backbone of our culture, a culture which has become one of our firm’s greatest differentiators. It’s common to associate culture with perks and work-life balance items. But to me, culture is first and foremost about our work - how we approach our jobs each day. Initially, our approach was to create a sense of pride by providing our employees a road map for accomplishing exceptional work for exceptional clients. Today, we lean on the same core values established 24 years ago: Committing to Quality and Proactivity, Choosing Partnerships Carefully, and Breaking from Standards. “Quality” is my one word answer to what makes us different. We know that in order to achieve the best possible project experience for our partners, we must deliver quality documents and be proactive from the beginning. We must be strong project managers, providing ideas and options early, actively communicating to vet the best ideas, and executing so that all parties can achieve success. I have always been a believer in Murphy’s Law: What can go wrong, will go wrong. Therefore, we go the extra mile to minimize fallout. Our thoroughness is seen most clearly in proactivity and quality (which I believe to be closely tied). Many clients tell us no matter which team they work with at Coughlin Porter Lundeen, they can count on an exceptional effort. When we started Coughlin Porter Lundeen we were aware of not only the portfolio we were building, but the clients we partnered with. Our goal was to carefully select work, opting for partners who genuinely appreciated the quality we consistently deliver and interesting projects that yielded a diverse project portfolio. How does this affect our culture today? There’s no drudgery of working on the same project type again and again. No project is alike, which requires constant innovation and creativity. There’s security too, as our goal to achieve project diversity was as much about providing interesting challenges for our employees as it was about allowing us to weather economic downturns. Additionally, by choosing to work with partners who understand and value our commitment to quality, there’s sincere respect between our team and our clients. The first question facing any new business owner is how to differentiate yourself. In our case, we charted a course shaped entirely around how we could best serve our clients. What if a firm refused to compete based on who could get away with putting in the least amount of effort for a given fee? Who made the rule that standard civil engineering scope started five feet outside the building? Who said that structural engineers should pawn off the design of significant scope items like secondary structural elements such as cladding support? Is it really the best approach to sit back, wait for the architect to fully bake the design, then put all hands on deck to bang out the design as quickly as possible? These questions set the tone for our work. Our answers broke from industry standards and required that we do things differently. Today, we’re faced with the challenge of communicating this idea to our partners and passing the enthusiasm for going above and beyond to our growing team. As our firm was born from a misguided acquisition and mismanaged transition, Terry, Steve, and I were absolutely committed to an internal buy-out. We knew that ownership’s failure to let go of the reigns or adequately plan for such an ownership transition could be detrimental; we’d seen it happen to AEC companies and others. Around our ten-year anniversary, we identified potential future owners and began mentoring and evaluating them. We subsequently worked on financial arrangements and began to sell shares in 2010. We have continued divesting shares each and every year since. Today, Chris Duvall, Cory Hitzemann, Garo Pehlivanian, Jeff Peterson, and Bryan Zagers own just shy of 50 percent of the firm. Tim Brockway joined the ownership group in January of 2018. We sought to guide the new owners but not to smother them. 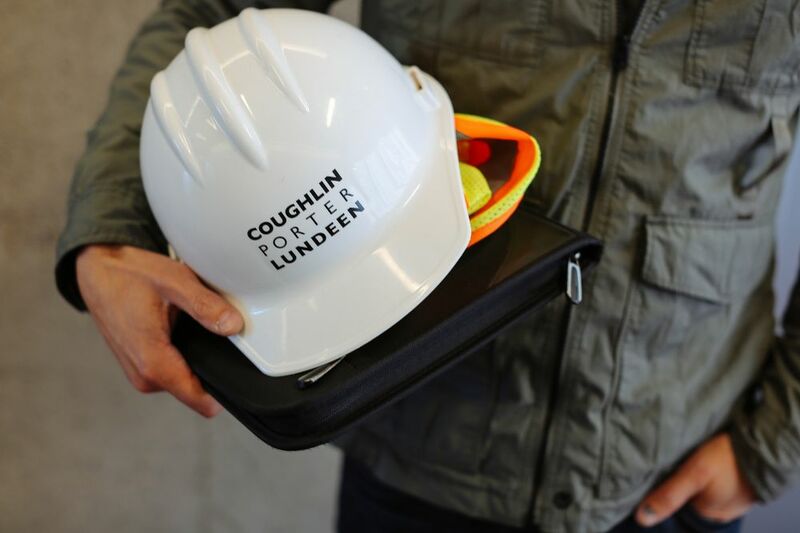 Remaining loyal to our founding vision was made easier as each had grown up at Coughlin Porter Lundeen, spending the majority of their careers here. Half even served as college interns. Together we worked through changes, weathered the recession, and entered into the busiest construction economy Seattle has ever experienced. This new generation of principals drives a crop of culture-focused enhancements at our office. Motivated to make Coughlin Porter Lundeen an even better place to work, we’ve enacted each enhancement based on employee interest and feedback. As always, we’re guided by our core values and differentiators. After all, it was commitment to them that led to our successes. This principal group continues to prove that they’re the right team to carry us forward. We don’t have corner offices or subscribe to traditional corporate hierarchy, so top-down cultural mandates would surely be out of place. As a leadership team, it’s important to us that we’re accessible to staff of all levels, that we listen carefully, respond thoughtfully and don’t shy from evolution. We've learned so much by listening. Driven by the newest generation of leadership, we've outlined a few cultural enhancements that appear to be working well for us. In the past year, we’ve restructured our administration department, shifting the focus from traditional operations to human resources. This reorganization prioritizes the employee experience and ensures cultural enhancements, policies, and firm news is clearly communicated and ushered in with care. Human Resources Business Manager, George Theo leads the department. As a former Dean of Student Affairs at UW Bothell, he has experience building relationships, evaluating biases, and creating communities and inclusive environments. Partnering with the new tier of principals, he leverages this unique background to respond to the needs of employees. While in many respects we maintain a small-firm mentality, our benefits package has been carefully arranged to compete with large, top-tier organizations beyond AEC. We offer meaningful extras like donation matching, 401K matching and wellness benefits, and this year we rolled out a series of revamped policies including PTO, Family Leave, and Parental Leave. We pay attention to the little things too and treat our office environment like a benefit of its own. Everything from conference rooms equipped with the latest tech, to the employee-selected coffee in our kitchen can influence culture and company morale. Supporting the community has been a priority since Coughlin Porter Lundeen’s founding. We provide donation matching and the firm is regularly recognized as a top “Corporate Philanthropist” by The PSBJ, but more interesting to me is how, in recent years, involvement has shifted. Instead of supporting organizations related only to the industry or letting our clients define our causes, our employees now drive community outreach efforts. Individuals champion their causes and favorite organizations - Construction for Change, Obliteride, Mary’s Place, STEM efforts, and DESC to name a few. It’s a culture of action, as employee-organized drives, volunteer days and events are well attended and supported. Internally, we have significantly increased our mentoring efforts, understanding that job satisfaction begins with enhancing core competencies. As the firm grows, we’ve formalized our training and mentorship program, organizing mentorship in several formats to help ensure each person receives guidance and has maximum opportunity for career advancement. Put simply, we want our employees to succeed! We support staff’s continued education efforts and host learning opportunities, leveraging in-house talent for Lunch and Learns and bringing industry leaders in for presentations and skills-building workshops. Less than 20 percent of engineering graduates in the U.S. are women and retention is an industry challenge. We’re working on many fronts to buck these trends. Just under half of Coughlin Porter Lundeen employees with less than five years of experience are women. To support this large group, we established a Women’s Group last year. It’s a company-endorsed platform to determine priorities, articulate suggestions, and help us understand how to create a better environment and opportunities to advance. Additionally, we cover membership dues of staff in professional groups and support employee’s out-of-office efforts related to women in STEM. Many serve as ACE mentors, encouraging high school students to pursue careers in STEM; we sponsor and provide panelists for UW’s WiSE (Women in Science and Engineering) Conference; and have staff serving on Structural Engineers Association of Northern California’s SE3 (Structural Engineering Engagement and Equity) committee, working to improve engagement and equity in the structural engineering profession (nationally). Because we think it’s important to regularly gather as a full team, we established a quarterly meeting tradition. First and foremost, the meetings are employee appreciation events, opportunities to cater in treats and recognize employee achievements. We also share company news, project stories and presentations. We find that sharing company information via this platform and regularly celebrating our staff contributes to our collaborative culture. My advice for organizations seeking to better manage their company culture: Define and commit to core ideas and differentiators, identify the next generation of leaders and arm them to carry the torch, and be willing to listen and evolve. We believe that these enhancements not only contribute to our company culture, but reflect our willingness to adapt to the times. Evolution is necessary, but I’m happy to say that today, at nearly 24 years old and more than 100 employees strong, Coughlin Porter Lundeen remains true to the place Terry, Steve and I envisioned so many years ago. We’ve been able to foster a unique culture without sacrificing core values or commitment to quality and customer service. My hope is that we never lose sight of the values upon which we were founded, and that we continue to empower our staff to shape the future of the firm. My advice for organizations seeking to better manage their company culture: Define and commit to core ideas and differentiators, identify the next generation of leaders and arm them to carry the torch, and be willing to listen and evolve. Jim Coughlin, P.E., S.E. is one of three Founding Principals of civil and structural engineering firm, Coughlin Porter Lundeen. 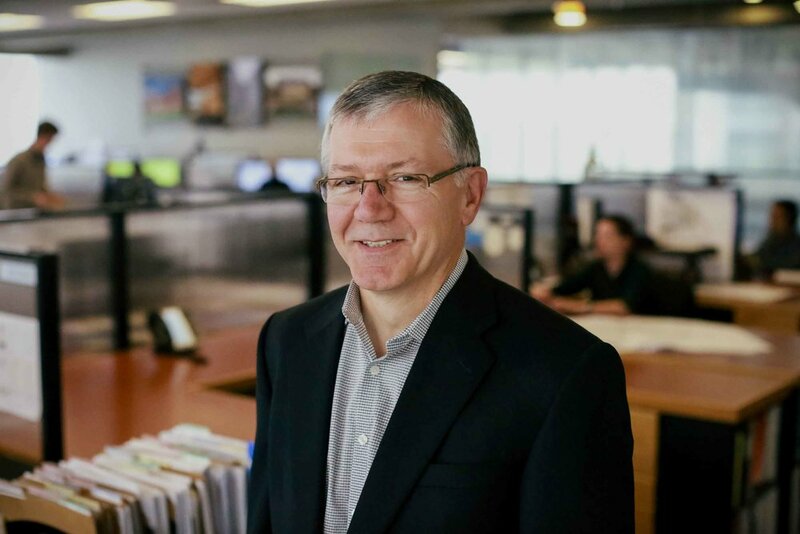 Acknowledged throughout the industry for his creative solutions and dedication to high quality design, his influence is represented in the design of more than 60 million square feet of facilities throughout the Pacific Northwest. This February, Downtown Emergency Service Center’s (DESC) The Estelle opened in Rainier Valley. There, ninety-one studio apartments provide permanent supportive housing for formerly homeless individuals. More than just a project update, we’re honored to share insights into the DESC mission and the difference it’s making to Seattle’s housing and homeless crisis. Walk any street in downtown Seattle and you’ll encounter homelessness. It’s prominent, seen in a cardboard sign pleading for aid, a bundle bedded down in a doorway, or at the tent villages sprouting under interstates. DESC has made it their mission to not see a bundle, sign, or tent, but the person instead. To them, the homeless and housing crisis is entirely about people, and their response is to reach those most crippled by the vicious cycle of poverty. DESC stands up to address the homeless and housing crisis with a Housing First approach. This approach, which they helped pioneer in the United States, is founded on unconditional acceptance. Instead of requiring a client to meet requirements or submit to drug testing before a housing placement, DESC prioritizes the most vulnerable and hard to reach, allowing those most in need to move into housing first, despite mental illness and/or substance dependency. This philosophy of unconditional support extends from the smallest thing they do (tenants are referred to as “clients”), to the largest (their program is designed to be comprehensive, extending far beyond housing alone). Homelessness is a polarizing issue in our city, with calls for change being met with calls for care. DESC projects tend to meet resistance wherever they go, as solutions move out of hypothetical and into Seattle neighborhoods. As DESC continues to fight poverty and homelessness it’s clear that their methodology is unique. And it works. We consider it a privilege to support DESC. We can’t say enough great things about their staff, and as we partner to create affordable housing projects in Seattle, it’s a blessing to see the difference their efforts are making in the city and in the lives of so many in need. We were lucky too that the entire Estelle project team, which included, in addition to Coughlin Porter Lundeen’s civil (Ken Wiersema, P.E. LEED AP) and structural (Chris Padin, P) engineers, SMR Architects, Walsh Construction Company, and Fazio Associates, felt the same way. We were united in knowing these projects are so much more than buildings, even well-intentioned, well-designed ones. They represent positive change to the many people receiving individualized care. Spend a bit of time exploring DESC’s stories and you’re sure to be astonished by the resilience their clients show. We believe that as a project partner, it’s our job to help communicate DESC’s purpose and value, and to help our community understand that solving the housing crisis is so much more complicated than “just build housing,” or “just go get a job.” There are so many facets to poverty, and understanding where it comes from, its cycle, and our role as community members can improve the quality of life for all. A long-term DESC partner, we’ve contributed to Aurora House, Canaday House, Cottage Grove Commons, N96 Apartments, Interbay Place, and the Lyon Building renovation. In each, we’ve witnessed the DESC difference: a commitment to make beautiful, lasting, affordable housing projects. They’re designed with a care and intention that’s unique to the market. We’re excited to highlight the features of the most recent project, The Estelle, where ninety-one studio apartments now provide permanent supportive housing for disabled and vulnerable individuals. Programming. More than a Front Door. 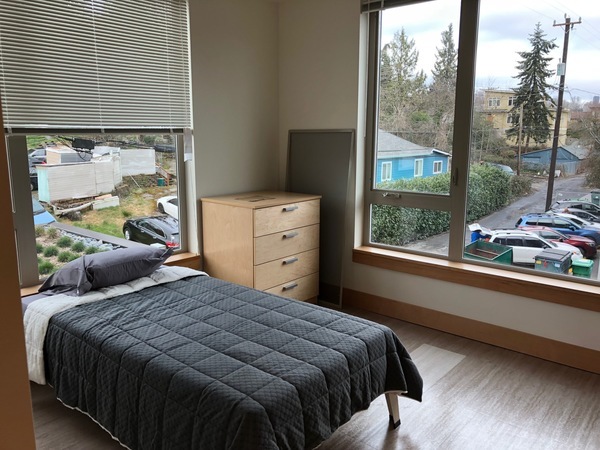 The Estelle houses a first-of-its-kind partnership with Harborview Medical Center, bringing together the advantages of both permanent supportive housing for chronically homeless people and high-quality, 24/7 onsite healthcare services. Fifteen units are dedicated to the care of recently hospitalized clients who require additional primary or behavioral health medical support. The groundbreaking partnership is a model for future projects. DESC already has plans in design to replicate this feature. Consistent with DESC’s philosophy to care for their clients holistically, The Estelle Apartments offer amenities specific to resident needs. Care is extended far beyond housing alone, giving residents access to onsite medical care, professional counselors, case workers, and even transportation aid, with three shuttles available to take clients to job interviews, doctor’s appointments and such. Engineering. Notable Features and Solutions. Estelle’s site has terrible, unstable soil. Every site is evaluated to determine the “allowable bearing pressure,” or, how much pressure the soil can take before undesirable consequences occur. In this case, evaluation showed that the site was not suitable for bearing. This required a unique solution, so our team conceptualized a matrix of Rammed Aggregate Piers to support the foundation. Working closely with geotechnical engineer James Strange of Geotech Consultants, the team created an economical system that reached suitably stable native material buried more than 15 feet deep. Our team also conceptualized an atypical foundation system to sit on top of the rock piers. Using specially-designed foundations, the load-carrying system supports the building’s weight as well as a large polished concrete slab. Inside, The Estelle features elements like exposed concrete walls and polished concrete floors. A double-height entryway features large windows and decorative ceilings to enhance the experience once inside. Externally, thoughtful touches like board formed concrete, cantilevered wood-framing, decorative sunshades, a large steel entry canopy, and resident courtyard make the affordable housing project relatively upscale. The cantilevered framing required unique designs from our structural team, while our civil team coordinated the grading for the parking-garage-to-courtyard transition. They also helped create the courtyard between the building and garage that features rain gardens to treat the green roof and site runoff . As always, we considered it our responsibility to create solutions that matched the architectural vision. Like every market, affordable housing has its nuances, and our team responded with designs that were tailored to the needs of the residents. For example, surfaces needed to be durable, not becoming dingy or damaged after routine wear, air quality mattered greatly, and the first floor needed to include a functional clinic to meet the project’s goals. As such, the team opted for durable, lasting finishes in the floors and the walls, using a considerable amount of exposed concrete. With air quality in mind, the design accommodated an increased number of mechanical units and duct work and air pressurization and circulation is almost double that found in a typical residential building. And finally, first-floor designs brought the clinic to the tenants with a full-time, onsite nurse, offices for DESC case workers, and a large community engagement space. 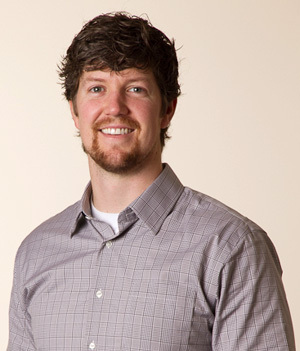 Chris Padin, P.E., is a Structural Project Engineer. Passionate about his community, he works closely with developers, contractors, and architects to deliver projects that make a difference. His background in both construction and engineering allows him to think outside the box and create innovative solutions for his clients. 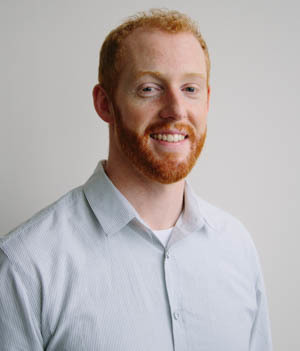 In addition to his work with DESC, Chris is actively working with affordable housing developers such as Capitol Hill Housing, Low Income Housing Institute, Seattle Housing Authority, and more. In Uganda, women who become pregnant out of wedlock are left without options. Ostracized from the community and often disowned by their families, they’re left without support or hope. 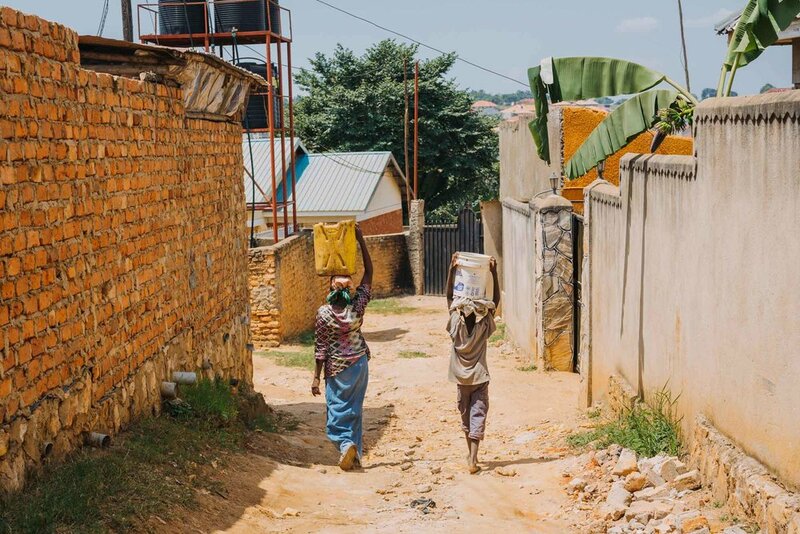 Sister Elizabeth Namazzi, a Ugandan nun who witnessed the cycle firsthand, imagined a different future for these women and their children, and dreamed of a haven where the distressed could find care, housing, counseling and courage. While earning her PhD from the University of British Columbia, Sr. Namazzi brought this dream for change with her to Seattle University. With the help of Jim Dooley, her Seattle host, the idea was presented to the College of Science and Engineering’s Project Center, through which small teams of senior students work with industry and community partners on real-life projects. From there, her concept was put into the hands of students Andrew McAferty, Steven Millett and Trevor Coffman, becoming their senior project. Sr. Namazzi provided hand-drawn sketches featuring design and functional elements she envisioned. From them, the team developed a revised architectural layout for the facility which includes three buildings: a clinic to provide medical care, an education center to train mothers and enable them to earn a living, and a convent to provide housing, counseling and spiritual support. The students were overseen by Civil and Environmental Engineering Instructor Nathan Canney, while Coughlin Porter Lundeen engineers Rachel Vranizan and Cory Hitzemann served as consultative industry mentors. Together, the team provided construction material selections, structural design of roof trusses, shear wall and foundation recommendations, and a 32-page plan set of the facility’s engineering drawings. Andrew McAferty, ‘16, Sister Elizabeth Namazzi and Jim Dooley, ‘76. Photo courtesy of Seattle University. Sister Elizabeth Namazzi, of the Sisters of Mary, Mother of the Church, stands on the plot which will become the Ugandan Development Center for Early Mothers. As permits are secured and funds are raised, the land is being farmed. The project received a 2017 Engineering Education Award from NCEES. Open to all engineering disciplines, the award jury considers projects which demonstrate meaningful partnership between professional practice and education. The award (which comes with a $7500 grant)celebrates the collaboration of faculty, students and licensed professional engineers and helps students not only increase knowledge and skills, but understand their role as global citizens, understanding how their work as engineers can affect public health, safety and welfare. In alignment with the award’s purpose, the team faced challenges together. They researched Uganda’s requirements and navigated the lack of local codes, identified local construction materials and practices (eventually opting for clay-fired brick walls, mahogany roof trusses and corrugated metal roofing), and considered solutions for frequent power outages. Rachel and Cory met with students every two to three weeks. Each student served as the project manager for a quarter, responsible for setting up and facilitating team meetings, preparing agendas, assigning tasks and following up on in-process work. The program gave students experience working on a live project, and appreciation for a global issues and human-centered engineering. Today, Sr. Namazzi’s dream is becoming reality. Located just outside Masaka, the new Self-Realization and Skills Development Center for Early Mothers is in the works. Seattle University alumni supported the land purchase and continue to contribute donations, Sr. Namazzi’s religious order, the Sisters of Mary, Mother of the Church, have committed the necessary staffing, and in February, the land deed was officially acquired, (a huge milestone for the team). The education building will be the first to go up, and the team is currently soliciting bids from contractors in Uganda. Explore all NCEES Engineering Education Award winners here. Coughlin Porter Lundeen is aligned with The NCEES’s mission to further link the engineering profession and education. 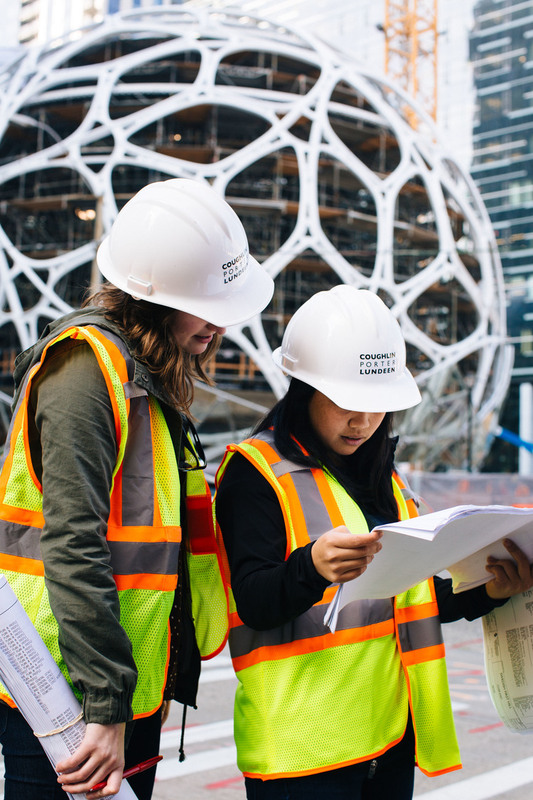 In addition to supporting programs like Seattle University’s student projects, we welcome student interns each season and regularly send engineers to campuses for Classroom Takeovers. Have an idea how we can support students in your area? Let us know! 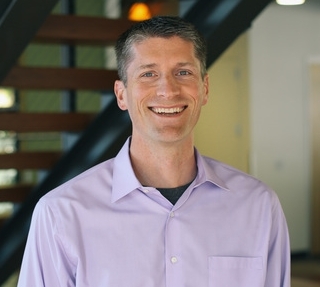 Principal Cory Hitzemann, P.E., S.E., LEED AP, also a Seattle U alumnus, manages a large number of both public and private projects which span the K-12, higher education, healthcare, multi-unit residential, and municipal construction markets. His LEED accreditation ensures he bring passion for sustainability to every engagement, and his more than 20 years of experience with clients like Facebook, Nintendo, University of Washington and Seattle Public Schools allows him to design unique, modern solutions for his clients. Rachel Vranizan, P.E. is a Structural Project Engineer at Coughlin Porter Lundeen. While she works on a variety of project types in both the public and private sectors, she particularly enjoys public works projects such as schools that provide a benefit to the community. With a degree in Sustainable Design and Construction, Rachel brings a sustainability-minded perspective to her designs and a passion for finding unique solutions to challenging projects. Past clients include Arlington Elementary School, Washington Hall renovation, and Marysville Pilchuck High School. 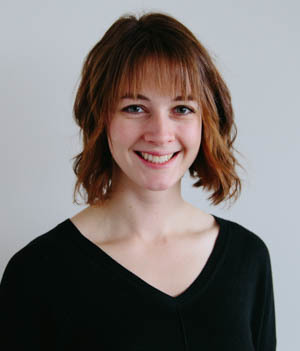 A Seattle U alumna, her senior project (a structural evaluation and retrofit of a Seattle City Light warehouse) was also a NCEES award winner. Graduation season has inspired us to share our top pieces of advice for new professionals. Whether starting a career as an engineer or something totally different, we hope these tips help you find success in your new role and love your work! 1. Get to know the company. And industry. You most likely did company research in preparation for your interview. Now that you’re hired (go, you! ), it’s time for research phase two. Your initial research likely included a zoom-out of the company, website features and big-picture items. Phase two helps put you into the picture. By diving deep into an organization’s portfolio and taking the time to understand what’s happening in the industry, you’ll have a distinct advantage. To be able to speak confidently about key projects, keep up when past work is referenced, and have a head start during onboarding, consider questions like: How does my company talk about themselves? Which projects in their portfolio am I especially interested in? Have they won any awards or recognition lately? What kind of content do they showcase on their blog or other outlets? What have I found that I want to learn more about? To begin building a foundation of industry knowledge and practice seeing the bigger picture, consider questions like: What trends or topics keep showing up? Who are my organization's competitors and what are they doing well? What are industry leaders publishing or saying? What kind of philanthropic outreach does my company support? 2. Go beyond the portfolio. A company’s philosophical side should be included in pre-start research. While portfolio research helps you understand the work you’ll do each day, company research (think mission, vision, values and approach) helps you understand how you’ll work each day. We all want to make an impact with our work and in our community. Chances are, company research will motivate, excite and help you buy in to the organization you’re joining. You won’t know it all on day one. And you don’t need to! Ask questions and listen when answers come. Don’t be insecure about what you don’t know, but see asking questions as an opportunity to learn something new. Remember, everyone understands that you have a lot to learn. In a matter of time, you'll be answering the questions for the next new hire. And when those questions come? Remember what you appreciated about the people who answered your questions. Technical skill is important but communicating with patience and clarity leave lasting impressions in the workplace. This task may take some time. Setting good goals requires thoughtfulness, intentionality and organization (and many large goals require sub-goals). Maybe you want to become a licensed engineer? Or be on a certain project type ? Goals serve as your roadmap. Better to know where you want to go, identify a route, and adapt as necessary. Goal setting isn’t a habit exclusive to the workplace. We all know that it’s a practice associated with successful careers and personal lives alike. It’s important to let yourself be aspirational and to spend time thinking about your goals. Establish attainable checkpoints for yourself. In your new role, we recommend setting phased goals (some for the first quarter, six-month mark, and first full year), writing them down and sharing them with a manager. When beginning a new role, it’s easy to be overwhelmed with the desire to make a good first impression. You want to impress, prove your worth, find your footing – we get it! 6. Find your work style. Identifying your work style is an extension of being yourself. Are you an early-riser who loves watching sunrises as you check off to-do’s? 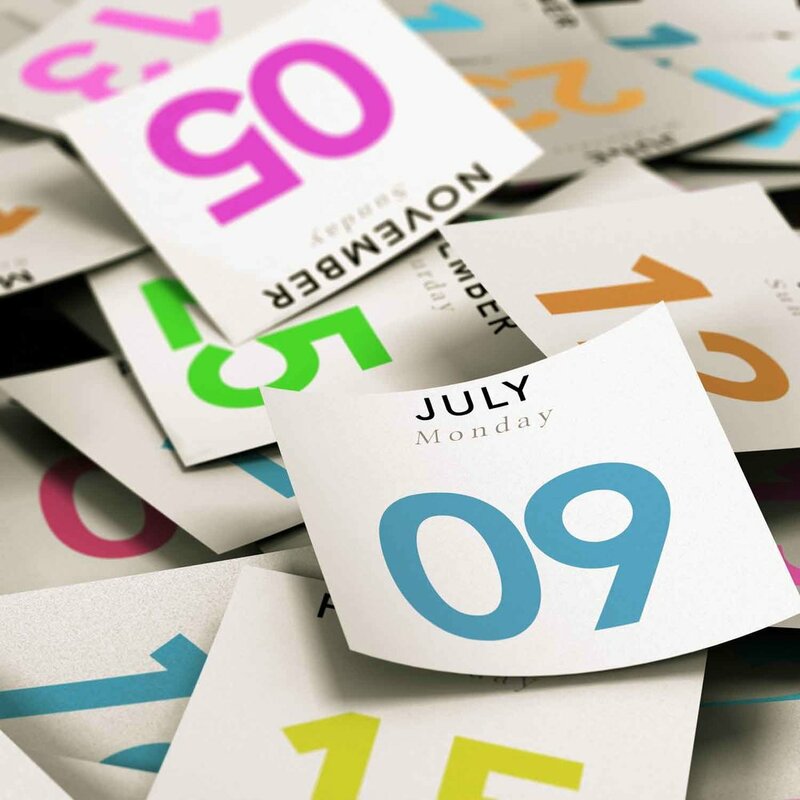 Are you most productive when there’s a hard deadline? Do you like to work through challenges independently or with a team? Understanding how you work best helps you be more efficient and communicate better with teammates. It’s also great for mental health because finding your work style helps pinpoint your recharge style. Whether taking a walk around the building to clear your mind, grabbing coffee with a coworker, or making time for morning workouts, understanding how you unwind matters too! There’s a reason apprenticeship has been around since the stone ages: it works! Great mentors will invest time in getting to know you, your strengths and your goals. They’ll support your day-to-day work, provide constructive evaluations, and help you plan for career checkpoints. In reality though, your workplace likely won’t have one single person who represents everything you want to achieve. Diversify! Everyone at your office has something to teach you. If you find someone particularly competent in tough situations, study that. If you admire the way a coworker stays organized, take notes. If you find someone you connect with who has walked the path you’d like to, well, you know what to do! Take them to coffee and tell them you’d like to learn from them! Take the time to pursue mentorship with people you admire. “Socializing with your coworkers is essential for your career,” says Alexander Kjerulf, an international author and speaker on happiness at work. “If you're not able to relate to your coworkers as human beings and build positive relationships, your career will suffer.” Our advice here is to socialize, yes, but force it, no. You spend a significant amount of time with your coworkers and it benefits your day-to-day if you can establish relationships with them. Today’s companies typically offer lots of camaraderie-building extracurriculars, everything from in-office ping-pong tournaments to offsite adventures. Find the right fit, as participating in activities that don’t genuinely interest you may leave you feeling ostracized. There are lots of options: explore a topic or trend you’re interested in with an internal task team, join in on a volunteer day, start a coworker book club, play a game with the company kickball team, or simply show up to an occasional happy hour. 9. Keep learning (and let professional organizations help). Professional organizations present various ways to advance your career. They not only provide a platform for purposeful networking and industry collaboration, but regularly facilitate opportunities for learning. Workshops, panels, conferences, and meetings allow members to share best practices, learn from others’ experiences, and consider challenges as a team. Many companies are happy to cover employee membership fees or continued education costs. Take advantage! 10. Be inspired outside the office. Finding the right work/life balance can be a challenge, especially when you’re new and eager to learn and put in your time. Just remember that balance is good, and that pursuing interests beyond the office helps avoid burnout and improves our work product. Everyone brings a unique perspective to projects, and it’s our team’s varied backgrounds, interests, and talents (the fact that we’re tap dancers, rock climbers, guitarists, and little league basketball coaches) that make our project teams dynamic and successful. 11. Treat conflict with care. Even if you’re justifiably frustrated or upset, resist sharp words, passive aggressiveness or trash talk. Chances are you’ll regret impulsivity once you’ve had a chance to cool down. Remember that you’re at the office (even if it’s disguised behind a fun, informal company culture). Conflicts, even small ones, should be treated with hearty doses of professionalism and self-control. That’s not to say you should keep your frustrations bottled up. it’s important to be transparent about your experience, what could be improved, and help your office culture evolve - but instead of reacting when you’re emotionally charged, address them in a professional, sincere manner. 12. Bring your best attitude. We saved the best, and arguably most important, for last. The attitude you bring to work matters enormously. It determines how your coworkers interact with you, how you approach tough tasks, how open you are to growth and learning. It’s contagious too, your attitude is a huge factor in office morale! Teamwork is a big part of every industry and there will be times where your product is dependent on how well your team functions. If you can take that late night at work in stride by ordering pizza and revitalizing the team, you’re doing it right. Order the pizza. Rally the troops. Bring passion, positivity and grit with you to work, and you’ll undoubtedly be a success. On behalf of the entire Coughlin Porter Lundeen team, we wish you the best of luck as you begin your career. If you’re on the job hunt, be sure to explore our careers page. We’d love to meet you! Chanel Jackson is a Civil Engineer at Coughlin Porter Lundeen. She has implemented sustainable stormwater practices and interdisciplinary design team coordination on projects ranging from the Amazon in the Regrade to high schools around the state. Supporting the visions of clients like NAC Architecture, Graphite Design Group, Runberg Architecture Group, her favorite projects are community-focused and socially-conscious. Seattle is among the nation’s fastest growing big cities and school districts in neighboring counties are feeling the effects. An overwhelming number of schools are at capacity and struggling in facilities that meet neither current building codes or student needs. As student needs evolve, so do curriculums. Modern curriculums are designed differently, often intended to develop skills like collaboration, innovation and creativity in students. Facilities in turn, mirror the curriculums with spaces that support untraditional programming. We support the efforts of our many School District partners as they evolve their schools, facilities and programs. Here, we showcase three K-12 projects who are advancing their programs and creating best-possible experiences for their students. Ensuring each student feels welcome and like a “Stevenson Kid” is essential to the design. The school will embrace its international community by incorporating multi-lingual signage and artwork from diverse cultures. “We are interested in having an international feel to the school through design and art because we have children from all over the world,” says McLeod. The heart of the school is the cultural center, a tapered, double-height rotunda. The top of the rotunda reveals exposed structure highlighted by a set of ribbon windows that invites plenty of natural light into the space. This structural feature connects common areas, administrative offices, art and music areas, and the new family planning program. Additionally, exposed braced frames throughout the school showcase structural calculations, enabling students to visualize how their school was built. Fun Fact: Bench seating areas will be made from existing cherry blossom trees, which an arborist determined wouldn’t survive replanting. Lake Washington School District is the fastest-growing district in King County, but not the only one grappling with rapidly growing enrollment rates and outdated, aging facilities. 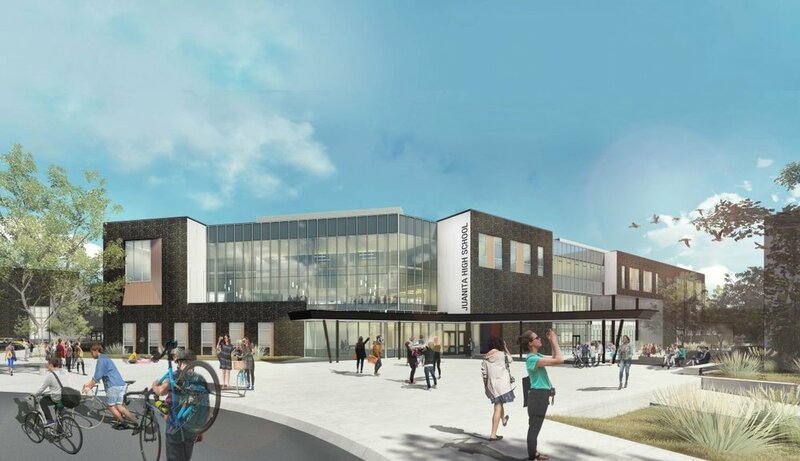 Through a $398 million bond measure, the project will develop approximately 240,000 square feet of building space including a new wing of academic classrooms, commons, entry, library, and a STEM school within the campus. Among other program changes, the new building includes multi-functional, adaptable spaces for collaboration and special projects. Site renewal includes new walkways and landscaping, resurfacing the tennis courts, and reconfiguring parking lots to improve vehicle flow on site. Extensive plazas, stepping of the foundation and grade leveling will improve pedestrian flow and accessibility. The project broke ground June of 2017 and is expected to open Fall 2020. Fun Fact: Phased construction of a new three-story academic building will expand Juanita High School’s enrollment capacity by 40 percent and provide space for 1,800 students. After an extended closure and serving as an interim school, it’s time to modernize Lincoln High School to meet the neighborhood’s needs. Comprised of multiple wings constructed between 1906 and 1959, the buildings are an disjointed mix of concrete, timber, steel and masonry (reinforced and unreinforced) construction, and each wing contains its own structural system. While portions of the campus have been renovated, the current project consists of a complete overhaul of the west half of the campus to support new pedagogy and technology. Retaining elements such as the brick façade allows the school to remain true to its historic roots. Community input influenced elements of the modernization. A glass enclosure between the north and central wings defines a new primary entry and a two-story learning commons is the heart of the campus. Fun Fact: You can take virtual tours of the Library and Commons. Back by popular demand, we’ve assembled our team’s “Get Outside” recommendations. This edition we’re rounding up our favorite summertime getaways easily accessed from sweet home Seattle. Road trips are a great way to enjoy Seattle's best season! With access to so many amazing places, it's easy to pack a bag, grab some snacks, and find yourself at a great Pacific Northwest destination in just a few hours (or minutes!). Plus, Seattle has more daylight hours than anywhere else in the lower 48. 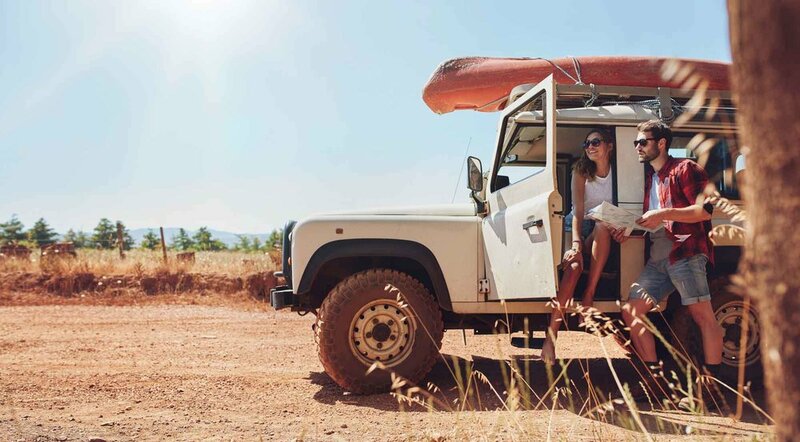 We think hitting the road is the best way to use them. Why I Love It: There’s nothing better at the end of the day than watching the sunset from the middle of the lake. Waking up early to enjoy the smooth-as-glass water in the morning is a close second! Sail Sand Point is the most convenient place for me to launch my paddleboard and enjoy Lake Washington. There’s always plenty of parking and space to hand launch paddleboards, kayaks, kite surf boards, etc. There are even rubber mats in the parking lot for unloading so equipment won’t get scratched on the pavement. It’s the little things! Pro Tip: If you don’t have your own boat, Sail Sand Point has open boating hours every day and you can rent sailboats, kayaks, and SUPs from them. See you on the water! Why I love it: Walla Walla is a wonderful weekend destination in the summer. It has warm weather, a picturesque downtown, and of course, many wineries. There are more than 120 wineries in the area, many of which are downtown and within walking distance from each other. I can’t recommend it enough! Pro tip: If you’re able to make your way a few minutes out of town, there are even more wineries to the south, east, and west that are surrounded by beautiful wheat fields and vineyards. Why I love it: There are a ton of trails that wind up and around the Snoqualmie alpine lakes. There are short, moderate trails for first time hikers and long trails that can challenge experienced backpackers for days. The scenery is phenomenal, with lakes, creeks, and waterfalls scattered all over the region. And my favorite part is that many of the lakes are stocked with trout that will willingly go after a fishing hook that mimics their favorite bug. Pro Tip: All of the lakes are catch and release so make sure to pack a lunch for your trip! And don’t forget to bring a fishing license and National Park pass (or bring some cash to pay for a parking day pass). Why I love it: It’s a beautiful park nestled into the hillside with amazing views of the sound and Olympic Mountains. And as an added bonus, the beach is accessible by a bridge over the train tracks. Lots of excitement for the little ones. (“Choo Chooo!”) During the summer, we love to bring an umbrella and lay out some chairs for a picnic on the sand. The kids on the other hand, love to play on the pirate ship playground and walk along the upper hillside trail scouting for dogs.